Makeup wipes are a big no no in the makeup industry, however I am always open to trying new ones as they are ideal for makeup mistakes, in my makeup kit or just a general cleanse. AA Skincare have been a brand that I have tried and tested a lot of products from recently and I know that I can trust there skincare brand. As a makeup artist I am always on the look out for a quick and easy way to fix makeup mistakes and to cleanse skin before makeup. These two wipes from AA Skincare have now become a firm favourite in my makeup kit. 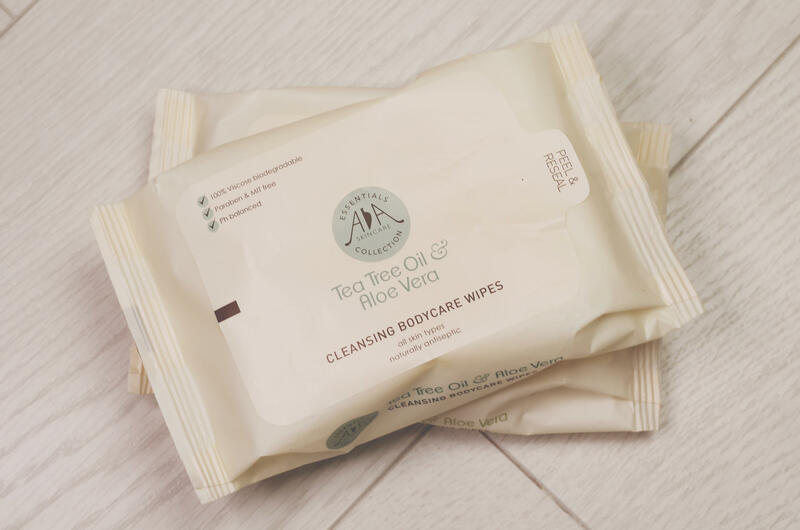 Tea Tree Oil and Aloe Vera Cleansing body care wipes* are ideal for festivals, body art mistakes or for a quick freshen up. If I were going to a festival this year I would defiantly be taking a pack of these with me. They are hydrating and moisturising and also calming on the skin with the aloe vera in them. These are great for body art as they remove makeup and strong body paint. A firm favourite in my makeup kit. AA Skincare says that these wipes are a festival, travel or gym essential for quick and effective top-to-toe cleansing. Naturally antiseptic Tea Tree oil cleanses and removes bacteria, whilst Aloe Vera leaves skin cool and calm. Perfect to keep in the car, home, office or to take on holiday to keep you clean and refreshed all day long. Alcohol and artificial fragrance free. 1% Tea Tree oil. Having said that I don’t use makeup wipes as a rule to remove my makeup on a daily bases, I will reach for them when I need to remove any makeup mistakes, swatches or switch looks. 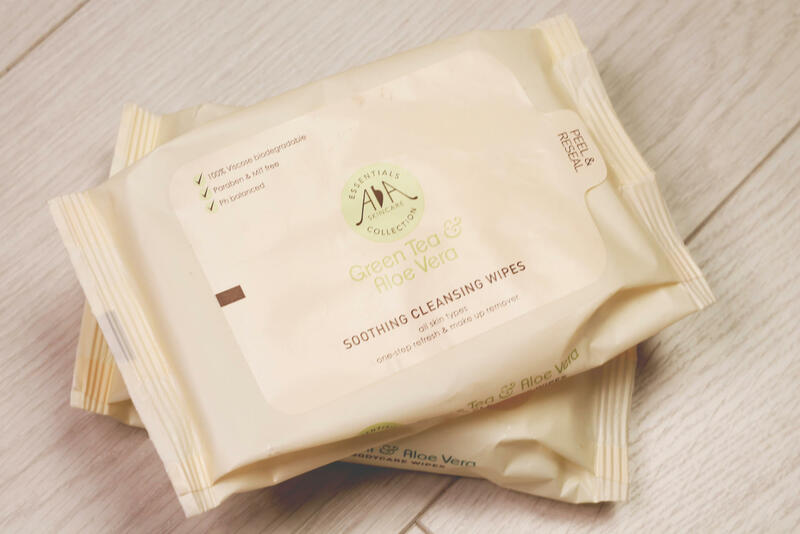 These Green Tea and Aloe Vera wipes* are also hydrating and feel smooth on the skin. I find some wipes can be harsh and pull at the skin whereas these glide onto the skin without making it red and sore. AA skincare says that these wipes lifts dirt from skin in a one-step refresh to remove make-up and cleanse skin. Natural extracts of Aloe Vera and Green Tea soothe and nourish skin. Olus Oil moisturises. Perfect to quickly prepare skin in the morning or wipe away impurities at the end of the day, leaving skin calm, cool and refreshed. An ideal travel companion and a gym bag essential. Alcohol and perfume free.Suitable for all skin types. What do you think to makeup wipes? Are you a fan or not?